﻿Abbey Dankoff is a senior studying Visual Communication Design, Peace Studies, and Poverty Studies. Originally from Akron, Ohio, she spent the summer working for a community-based organization in Jeppestown, South Africa, which lies about a mile outside downtown Johannesburg. She worked with the employees and volunteers at the Kgosi Neighbourhood Foundation, an organization that seeks to empower women and foster education within low-income settings. Abbey hopes to continue pursuing her passion for Catholic education in some form after graduation. 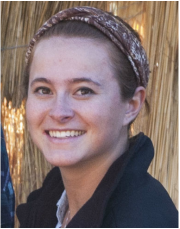 Kelsey Longe is a senior Science Business major, and she spent eight weeks this past summer in Tanzania as a participant in the International Summer Service Learning Program. While abroad, she taught English, math, and basic computer skills at the Audrey Veldman Vocational Training Center in a rural village called Kitete. In addition to teaching, Kelsey accompanied her hosts, priests of the Congregation of Holy Cross, on their various pastoral ministry activities and assisted at the local nursery school. The summer was an immersive experience in the Swahili language and Tanzanian culture, and she misses her students and friends dearly. 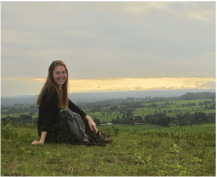 Shannon Montague is a senior Marketing and Peace Studies major who spent the summer in Kyarusozi, a rural village in Western Uganda, through the International Summer Service Learning Program. She lived in community with members of the Holy Cross and was lucky enough to provide support for their weekend pastoral ministry. During the week, she taught English and Computer classes at St. Joseph’s Hill Secondary School. Her favorite part of the summer was most definitely getting to know the people and becoming a part of the community, and she hopes to continue her passion for education as she pursues graduate programs in teaching. Nick Nissen is a senior Spanish Major, Arts and Letters Pre-Health Supplementary Major, and International Development Studies Minor with an interest in Latin America and healthcare development. His current research in medical anthropology is focused around childbirth practices in Latin America, specifically focusing on cesarean overuse in the Dominican Republic. He is currently working on two projects: "Agency in Dominican Birth: Can Women in Region III Influence Exposure to Unnecessary Cesareans?" and “Purposeful, Anticipated, Intermittent, and Normal: Grappling with the Familiar/Strange Dichotomy of Childbirth Pain”, the latter being co-authored with Prof. Vania Smith-Oka. After graduation, he will be attending medical school. Becky Wornhoff studies Anthropology and Pre-Health Studies. 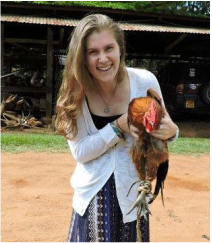 She spent eight weeks in the summer of 2015 in Nicaragua, where she worked as an intern at a rural clinic through the Kellogg Institute for International Studies Summer Internship Program. At the clinic she helped with patient intakes, record-keeping, and translation. She also developed and implemented a program of exercise classes for diabetic patients in the community along with a fellow Notre Dame student. Her home for the summer was with a wonderful host family in the community. She also conducted research on child socialization and parenting practices during her stay to better understand the effects of the clinic on the community. She hopes to continue service work following her graduation in May 2016 before beginning medical school.